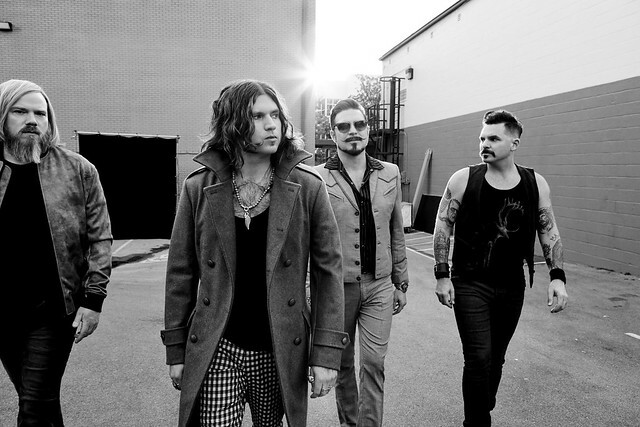 Rival Sons recently released the title track of the song as a single. “That song is one of my favorite collaborations that Scott [Holiday, guitarist] and I have ever done,” singer Jay Buchanan told Billboard. “I had written the verses and the chord changes and these lyrics and I showed it to him, and Scott knows I’m very much into Appalachian melodies and the dark side of bluegrass and the mountain side of country music. In a review for Consequence of Sound, Michael Pementel says while the band unmistakably creates terrific heavy rock, the new songs demonstrate a great deal of instrumental variety. “If you’re brand new to Rival Sons, then Feral Roots is an excellent place to start. Across 11 tracks, the band keeps listeners engaged thanks to a spread of bluesy rock. Electric rhythms intertwine with warm vocals and glowing melodies throughout Feral Roots, making for an experience where listeners will find something different to enjoy in each track,” Michael wrote.